Alerus is one of the largest and oldest independent financial services organizations in the upper Midwest. The company needed collateral to promote its services, including banking, mortgage, retirement, and wealth management and investing. 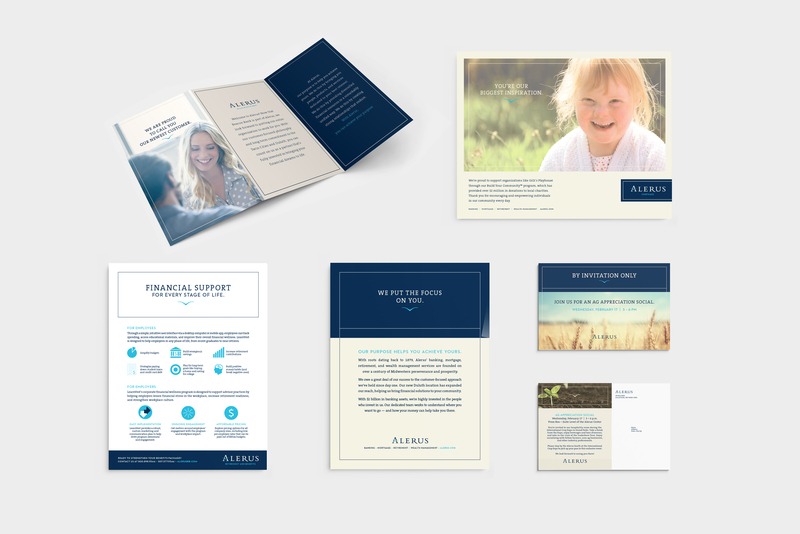 Super Studio created a variety of collateral pieces for Alerus, including new member brochures, online ads, event invites and more. 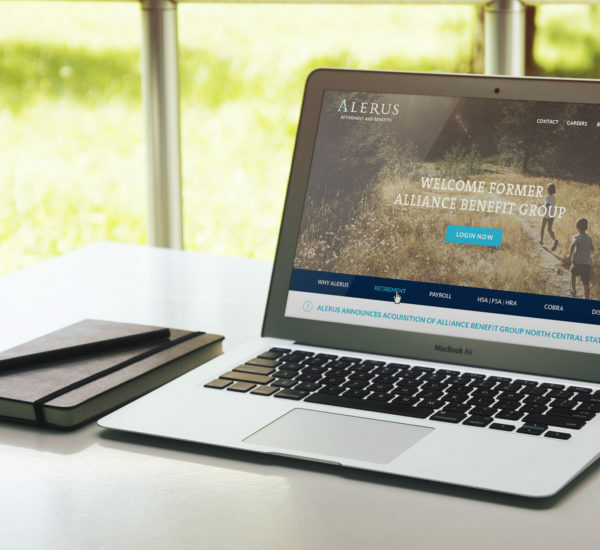 Marketing materials positioned Alerus as a first-rate provider of financial services.